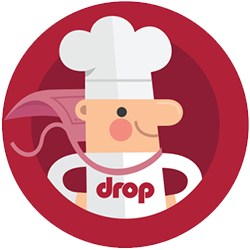 Drop — What is the best way to clean the scale? The scale has been designed with the kitchen environment in mind, so it doesn&apos;t have any seams or other openings that could get dirty from ingredients. This means there is no need to try and take it apart to clean its insides. To clean the outside, simply wipe Drop Scale with a damp cloth, ideally after each use. Warning: Drop Scale has many delicate electronic components and it should never be cleaned in a dishwasher or sink. I can’t remember my password, what do I do now?